Larry Claude Dockstader was born on 28 Sep 1929 in Salt Lake City, Salt Lake, Utah, USA as the first child of Lawrence Oscar Dockstader and Myrtle Maude Groesbeck. He had one sibling, namely: Jettie Lou (1931-2010). 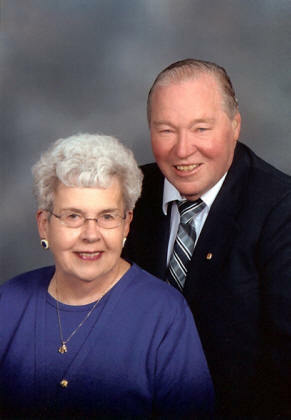 Dad died on 27 Oct 2010 in Madison, Dane, Wisconsin, USA. When he was 20, he married Marilyn Jean Wegert, daughter of Rudolph Wilhelm Fredrick Wegert and Agnes Kujawa, on 11 Mar 1950 in Dubuque, Iowa. When he was 25, he married Yvonne Marie Mellem, daughter of Arthur Carl Mellem and Martha Lydia Bolstad, on 02 Apr 1955 in Madison, Dane, Wisconsin. 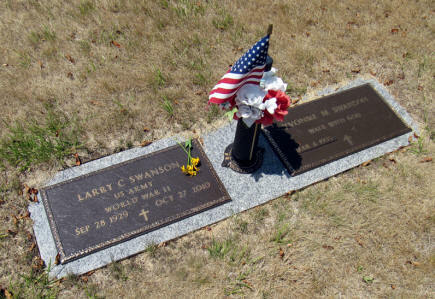 Larry and Marilyn had the following children: Jerry D Swanson and Larry C Swanson. 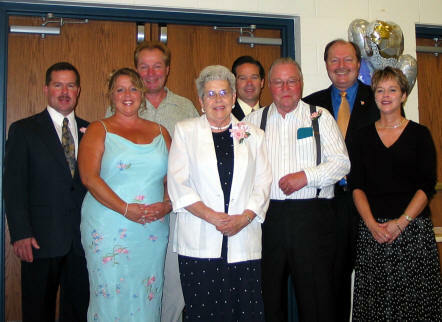 Larry and Yvonne had the following children: Bonnie J Swanson, Steve A Swanson, Roger C Swanson, and Brenda M Swanson. Dad had changed his name from Dockstader to Swanson, in 1955, when Myrtle Maude married her second husband, Carl Swanson. When Dad was married to my Mother, his name was still Dockstader, because he never legally changed it. Mom and Dad were married in Iowa, where they did not require the identification (proof of name and birth) as is required in Wisconsin. Yvonne (Mellum), Dad's second wife, said when Dad and her went to get married in Wisconsin, they had to wait because Wisconsin required a Birth Certificate, and Dad's legal name was still Dockstader. Yvonne said, "Before we could be married, we had to pay an additional $90.00 to first have Dad's name changed to Swanson, legally. Then they were able to be married as "Swanson". What a military mug shot! Dad enlisted in the service on December 10, 1946. 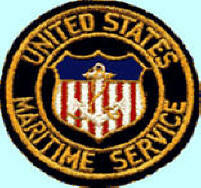 His training in the U. S. Maritime Service was administered by the United States Coast Guard. 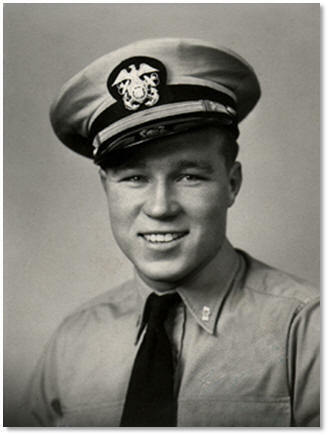 The War Shipping Administration had announced that the United States Maritime Service would enlist young men between the ages of 16 and 17 ½ years of age for training for service in the Merchant Marine of the United States, with their parents' consent. This allowed Larry to enlist at 16 years of age. Just a year after the bombing of Pearl Harbor, Brooklyn, NY, saw the opening of the largest United States Maritime Service training station at Sheepshead Bay. Larry received his training there. 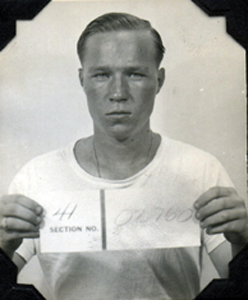 Six weeks training was required for service as mess men and utility men in the stewards department, and 13 weeks training for service in the deck and engine departments. Larry was trained as a mess man. Upon completion of their training, the men were assigned to merchant vessels within a few weeks. Dad was assigned to the ship USAT Jarrett M Huddleston, a Liberty-type freighter, which had been transferred to the War Department in 1943 for use as a mercy ship. It was discontinued as a hospital ship in 1945 and was altered for use as a dependent-carrying transport ship. The Huddleston was capable of 11 knots, was 441 feet long, 476 tons, and had a passenger capacity of 476. Partial image of the Crew Manifest for the USAT Jarrett M Huddleston on its departure from Bremerhaven, Germany, on December 31, 1946. 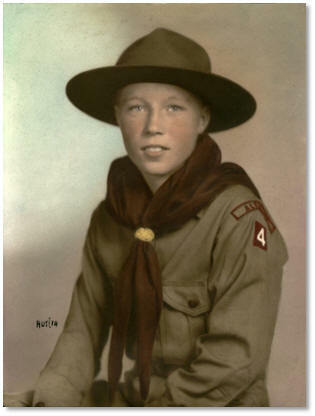 Larry C Dockstader is listed as a Yeoman. Wartime Britain and Europe was host to tens of thousands of allied service members. Many women were swept off their feet by some of those young soldiers, soon romance blossomed, and marriages were the result. During the war, some new brides were transported to the United States on returning troop transport ships through the treacherous waters of the Atlantic. Most brides had to wait for the end of the war before they could be transported to their new lives. When the war was over, soon the soldiers were shipped back home. However, tens of thousands of brides, some with children, were left behind in Britain and Europe. The “War Brides” began frustrating months of waiting for transportation. 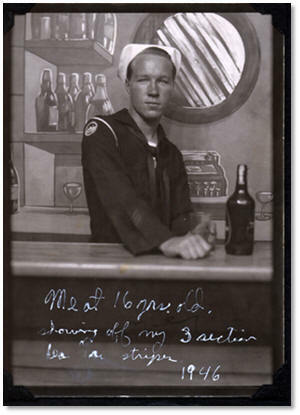 Dad made two voyages on the USAT Jarrett M Huddleston transporting these War Brides. The first voyage departed from Bremerhaven, Germany, on December 31, 1946. The ship arrived in New York nineteen days later, on January 19, 1947. The second voyage departed from Southampton, England, on February 15, 1947. The ship arrived in New York on March 1, 1947.